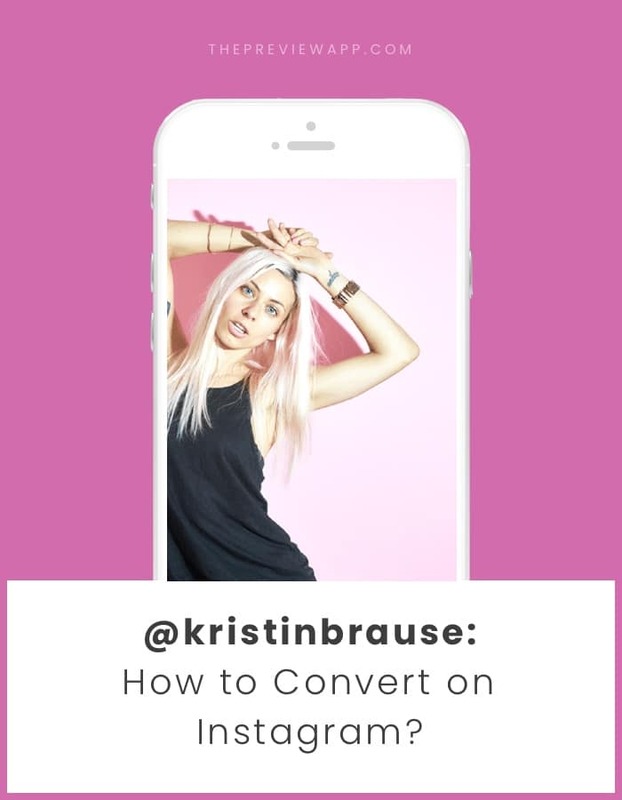 Behind the Feed with Kristin Brause: How to Convert on Instagram? She has worked in some of the top advertising agencies in London and for international brands like Nike. I’m super excited to introduce you to Kristin Brause. She is new on Instagram but oh boy does she have some solid tips to share. She made the big jump from working in an international firm to becoming her own boss. 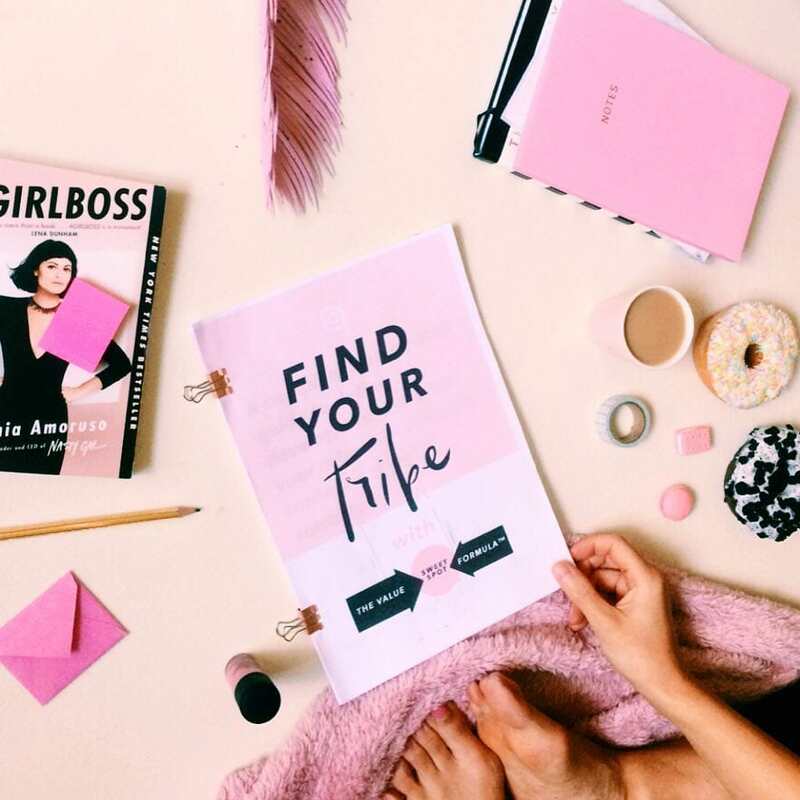 She’s now transferring everything she knows about branding into helping woman entrepreneurs crush it online. She has been using Preview App for a while now to manage her Instagram feed. Her visual style stands out without a doubt. Hello Kristin! Can you please introduce yourself and tell everyone what you do? Hey everyone! My name is Kristin Brause, or “Kris” as my friends call me. 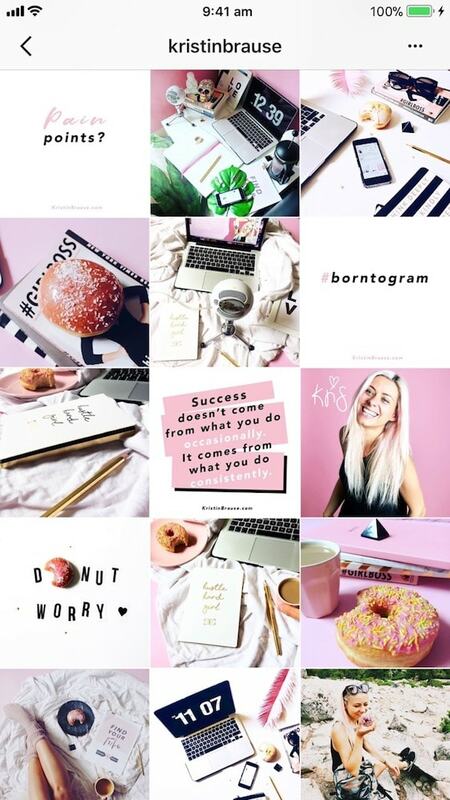 I’m a brand coach for Instagram brands and female entrepreneurs. I’ve been obsessed by brands since the age of 5, have spent 10 years working at some of London’s top digital advertising agencies, worked with some of the world’s biggest brands, won awards, and learned from the very best. Now it’s my mission to teach female entrepreneurs how to build a kickass digital brand they can be proud of. Well, in the beginning… I didn’t. It’s fair to say that I was not enjoying Instagram in the early days when I was randomly uploading images and frantically stressing out about which photo to post. But then I started to use the Preview app, which let me move my feed around BEFORE posting. That was one of those ‘Hallelujah’ moments that changed the way I think about my feed. Before I had the app, I would always compose my photo on the go, in an ad hoc way. Now, I actually shoot all my photos in batches (and gosh, I can’t stress enough what a lifesaver that is). I consider the overall look of my feed: for example, I check if there is too much or too little white space (the same goes for pink). I try to make sure that there is not too much copy in one place (in quotes, photos of the book I’m currently reading or flatlays of my e-Book), as I find it can be unsettling for the eye. Which doesn’t always work. Sometimes I can’t use my photos in chronological order (especially when I have plenty of holiday snaps to share). In which case I try to make sure they look like a set by using the same filter from Preview’s filter pack. At one point I think I had about close to 100 photos ready to put into Preview and it felt A-MAZ-ZING! (ladies, I’m telling you batching is the one!) I went to America for a 3 week holiday and I wrote all my posts in advance (two per day). But now I plan posts in sets of 5 because I love to leave room for spontaneous photos. And, to be perfectly honest, sometimes I don’t even stick to that. I’m still starting out with my business and there are a gazillion things to do in one day (I bet I’m not telling you anything new here). When it comes to scheduling, I’m constantly tweaking and perfecting because I know I’ll be ten times more productive if I plan my feed in advance (so I only need to hit “publish”), rather than trying to make posts up on the spot. I’d love to ask you about what you’ve learned while you were working with international brands. What’s the most important thing you’ve learned from your years of experience working with large brands? Any brand from global mega-brand to one-person female entrepreneur has the same problem: you need to be top of mind. 1) Create an emotional connection to your audience, that way you get loyal customers for life. Every time your customer interacts with your brand, you aim to give them a feeling. 2) Raising your brand awareness, which is about standing out from the crowd, by being authentic and consistent with your visuals. 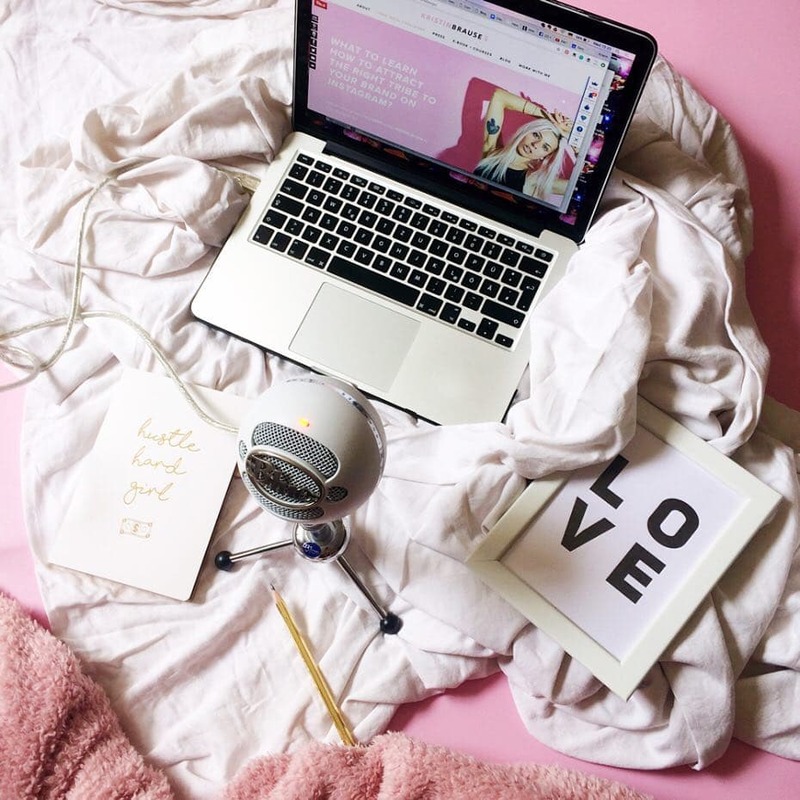 Now, raising brand awareness isn’t easy, but I’ve distilled all my knowledge from working with brands over 10 years into a course that teaches any femtrepreneur to think like a global brand on Instagram. What part is Instagram playing in your business? 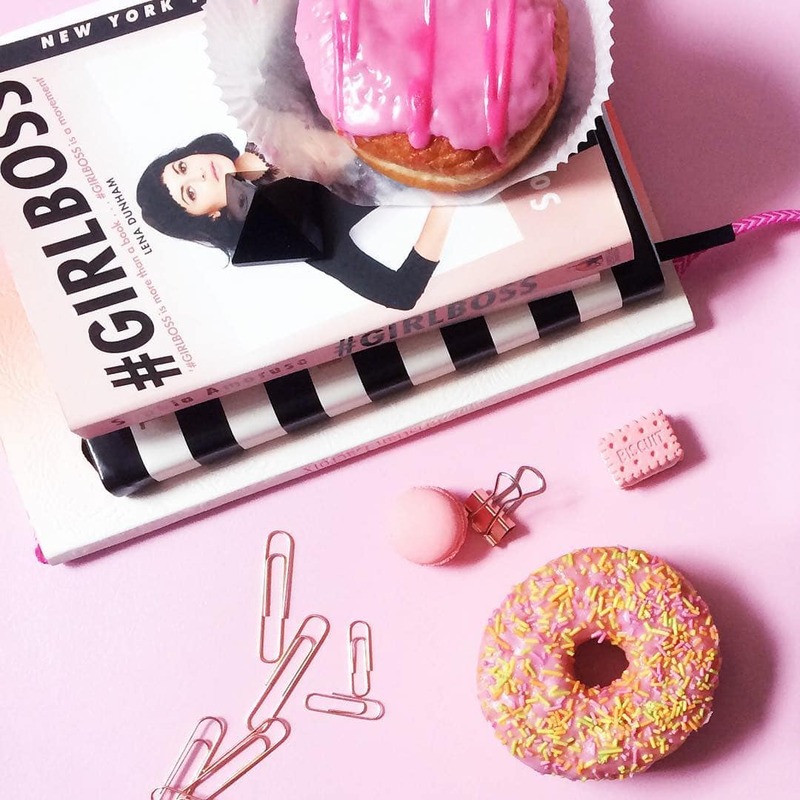 And why did you decide to grow your brand on Instagram? Instagram plays a huge role in building my brand because, as an art director, I live for the visual side of things. Being able to express myself visually has really helped me develop my style. However, it also took some time to give myself permission to find my feet. At the beginning I thought I had to do what everybody else is doing – just fit in. But now I know better. The fact is that you’ve got to stand out from the crowd if you want to be top of mind with your audience. Most of my clients find me through Instagram, as they’re always proud of telling me :). I think Instagram really gives you a feeling of being connected to like-minded entrepreneurs. You also get to pick your tribe, which is truly powerful if you think about it. I know you’re big on helping entrepreneurs grow and make sales through Instagram. Everyone wonders: 1. Is it easy to convert on Instagram? 2. 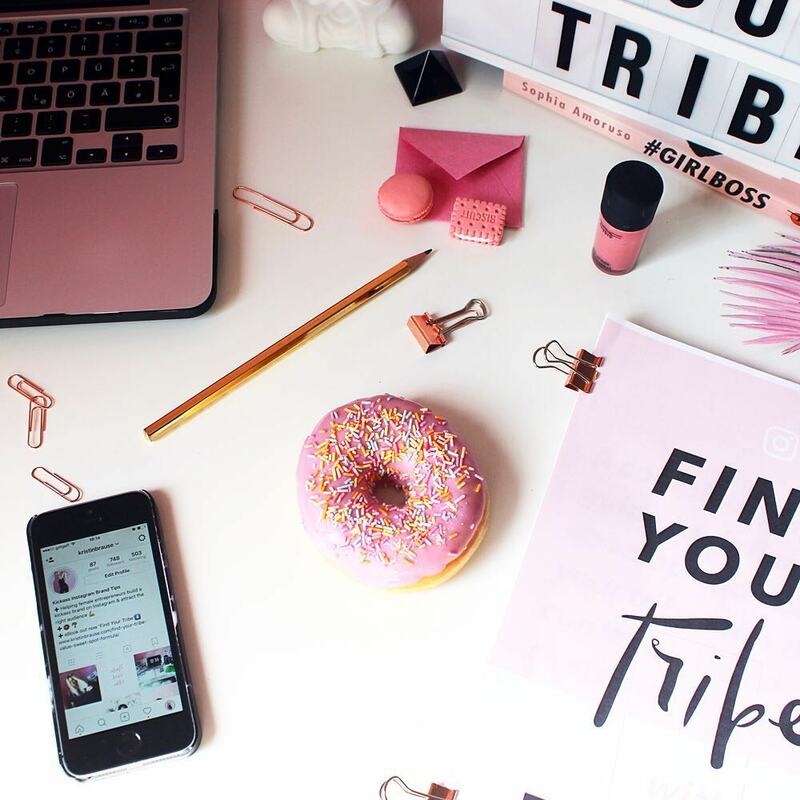 Can you share 3 tips on how you convert Instagram followers to subscribers or customers? 1. Oh, that’s a question I get asked A LOT. And I would say, yes, but only once you get clear on who you are trying to serve. First you, as a business owner, need to understand what you are offering and why that is relevant for your audience. Ask yourself: “What is it that I am offering?” “How exactly does it work?” and “Why would my audience care?”. Second tip is to do social listening. I do social listening for everything. I literally start by making assumptions about my target audience, and then I go on social media (mainly Facebook, Instagram and Pinterest) and Google (to find blog posts) to test my assumptions. I keep track of my answers in a spreadsheet and categorise them as pain points, struggles, frustrations and so on. With the insights I collect, I then work out a solution and think about how my brand could really help my audience. (In my e-Book I explain my process step by step). My third tip is to really hone in on your superpower. Dial up what you are really good at. It took me ages to figure out how I can utilize my passion and skills. Believe me, I gave myself such a hard time making the transition from being an advertiser to becoming a brand coach. I always asked myself ‘WHO needs advertising anymore?’ I wanted to help female entrepreneurs so badly but sold myself short. The truth is, I’ve always been known for my pep talks and brutally honest feedback. It just took some time to turn this into my business, to play to my strengths and really do what I’m good at. Once I started allowing myself to be me, my email list literally exploded. People started to sign up to my free Insta challenge and I started waking up every morning with 10 -15 new subscribers joined overnight. From your experience, do you think people need a lot of followers to convert / make sales on Instagram? Absolutely not. I had less than 500 followers on Instagram when I landed my first sales. It only took 2 months to go from 0 followers and 0 products to 1k followers and 2 products (my eBook and my course). And it all happened with the help of my tiny tribe, because I asked and listened to what people needed help with. I then matched their needs with my skills and developed the products quickly. But I can also relate to people thinking they need a large following before they can kick it off. My advice would be to ignore it and jump in the deep end. Why can’t it happen for you? Just go for it. What are 3 things every serious Instagrammers can do right now to improve their account? Post consistently. Skipping a day will hurt you with IG’s algorithm and your next post will rank lower. Posting consistently also helps you to be top of mind with your audience (Remember that one?). Get creative with your visuals. Remember, you want your IG feed to stand out in a sea of hundreds of other brands. Less is more. Pick a color and a key visual and stick with it. It’ll help you build brand recognition in the long run. Finally, how is Preview helping you and what would you say to someone who isn’t using it yet? It helps me stay organized. It’s like my IG VA (Instagram Virtual Assistant) in my pocket. I love scheduling posts – even when I haven’t written the caption copy yet – just because it gives me focus. I feel like Preview is helping me to keep pushing my brand further, simply by being consistent with my visuals. I’ve created hashtag groups for each day, which are broken down in groups of 10. Now I can be super quick to just hit the button and add them in. After all, when you’re running a business, time is of the essence. Any tool that helps you to get the job done quicker is worth its weight in gold. I tend to use A1 or L1 (from the Pink Pack) and I tone down L1 to 4 mainly. But before I use any filter I use the enhancer, as I find it makes the filter pop even more. Thank you Kristin for taking us behind your feed and sharing all your tips with us!